For avid golfers, Welk Resort offers two excellent San Diego golf courses, the Oaks Course and the Fountains Course. The two 18 hole golf courses in San Diego, were designed by David Rainville and originally built in 1964. Both the Oaks Course and Fountains Course at the Welk Resort are scenic masterpieces and are designated by GOLF DIGEST as “Best Places to Play”. The Oaks Course is a par three golfers delight lined with beautiful oak trees, scenic fairways and superb greens. Posing a challenge while being completely approachable by golfers of all skill levels. The Oaks Course is ideal for golfers wanting to improve their short game. Measuring around 4000 yards from the tournament tee markers the Fountains Course is built on 600 acres of beautifully manicured grounds. The course layout is friendly to players of all levels but is also challenging to those with a low handicap. 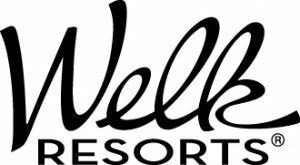 Welk Resorts San Diego features the Canyon Grille, Welk Theatre, weekly Farmer’s Markets and resort accommodations. 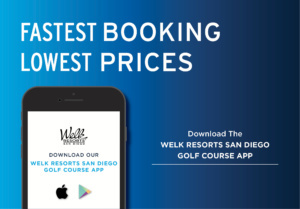 Welk Resorts San Diego is the perfect destination for your next golf event, offering a variety of formats such as match play, best ball or scramble. With two courses to choose from, The Fountains course and The Oaks course, both offer options for every type of golfer. For added challenge and fun, The Oaks courses features a footgolf course – great for team building! The full-service Tournaments Team at Welk Resorts will help you plan a successful and fun event for any occasion. Join us for some fun and learn a sport you can play at any age or improve your game with our private lessons. Select from 1/2 hour or 1 hour sessions with our Head Golf Professional or Assistant Golf Professional. Golf clinics are held weekly for beginners and intermediate skill levels. Call the Pro Shop, (760) 749-3225 for more information. Play 9 holes with a PGA Professional and receive tips, drills and strategies! Call the Pro Shop at (760) 749-3225 or email Evan Biundo, ebiundo@jcresorts.com, to sign up for a time slot today! Women’s Club: Meet every Wednesday, 8am start time and play 18 holes on The Fountains course. Breakfast is served at the turn and discounts provided for drinks and pro shop merchandise. Men’s Club: Meet every Thursday, 8am start time and play 18 holes on The Fountains course. Breakfast is available at the turn and discounts provided for drinks and pro shop merchandise. Call the Pro Shop at (760) 749-3225 to sign up today! It’s not soccer, it’s not golf, it’s footgolf! Come out for a fun game of footgolf with friends and family! Footgolf is a fast-paced combination of two sports – soccer and golf – played with a regulation size #5 soccer ball at a golf facility with 21″ diameter cups. It’s great for skilled soccer players to hone their skills and for new youth soccer players to practice in a fun, relaxed environment. The rules for footgolf mirror those of golf – the player with the fewest shots wins! Click for more information and a course map. Book a footgolf tee time, just like a golf round, or call the pro shop for assistance. The Fab Five Card allows you to play for less than $10/round! 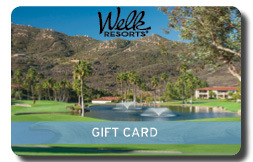 The card includes 5 rounds of golf or footgolf at Welk’s Oaks Course! For just $49, the Fab Five Card expires 1 year after date of purchase. The Fab Five Card is available for purchase at the pro shop or by calling (760) 749-3225. The Beginners Package includes 18 holes of golf on the Oaks Course, Rental Clubs and Pull Cart and 5 golf balls and tees for just $25. The package is available for purchase at the pro shop or by calling (760) 749-3225. The Fountains 3-Pack includes 3 rounds of golf on the Fountains Course and cart for just $99. The package is available for purchase at the pro shop or by calling (760)749-3225. Check our Specials & Events page! Call the Pro Shop at (760) 749-3225 or email Evan Biundo, ebiundo@jcresorts.com, for upcoming events! For club rentals, contact the pro shop at (760) 749-3225. For monthly JC Golf promotions and events, visit Specials & Events. Save Every Time You Play with San Diego Golf Deals and Discounts. 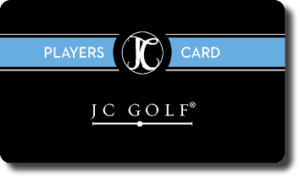 Offering Cardholders free rounds of Golf and discounted green fees at the area’s finest Golf Courses, the JC Players Card program is San Diego’s Best Golf value.